RRP: £34.06 (+VAT). 55% OFF! 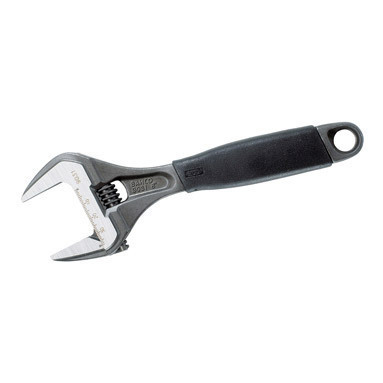 Bahco 9029 adjustable spanner - with 40% wider opening compared to a standard adjustable wrench of equivalent size. Head combines slimness for accessibility with strength for performance, this combined with a convenient length of the handle and low weight make it perfect for plumbers and other tradesmen that carry their tools with them. Can withstand high torque loads. Overall length: 170mm (approx 6 2/3"). Complies with the following standards: DIN 3117 Form A, BS 6333 and ISO 6787.